« How to Move a Village ? People are the key to conservation. 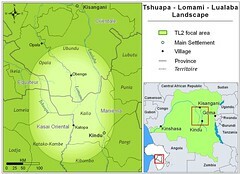 Through people we learn about the forest of the Lomami Park and its buffer zone. 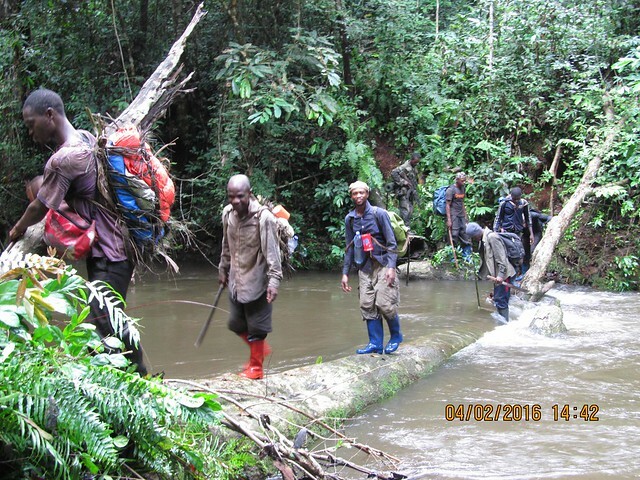 People working with people build the collaborations necessary to secure a ring of managed forest around the park. There are more trained, dedicated and inspired people on the TL2 project staff now than a couple of years ago. Their voices are in the posts…. Now you can read about them individually through the About us section as well. Elephant census team in northern part of Lomami Park. Our interviews are an ongoing process. More of the Lukuru/TL2 workers will introduce themselves on this site over the next few weeks and months, after they get out of the forest and we meet up in camp or town. Junior and Matthieu, would both benefit enormously and have much to share with fellow students at a field course in Tanzania. It will improve their capacity to use GIS for mapping, monitoring and analysis. We need 7 thousand dollars for their pre-course English training, travel, travel documents and tuition. Please help us. And do mention that it is for Junior and Matthieu. This course will help Junior and Matthieu advance their field and analytical skills and they will be able to share with and learn from students of a wide international background. Both Junior and Matthieu speak some English but will need to get better for the course. We will organize a 2-week very intense English training for them in Kinshasa and see how far their incredible motivation will take them. Many thanks and all donations are very appreciated. 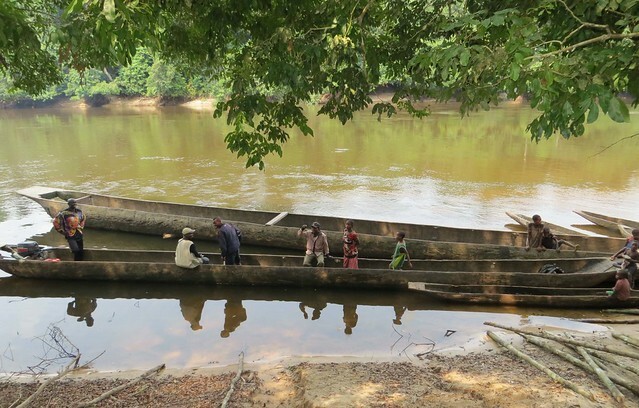 Dugout before loading for a patrol mission in the southern Lomami Park. This entry was written by Cintia Garai, posted on 2016-05-17 at 12:18 pm, filed under About the project. Bookmark the permalink. Follow any comments here with the RSS feed for this post. Trackbacks are closed, but you can post a comment.